Have you ever seen an AdWords ad on your favorite news website or on your Gmail account? Have you ever wondered how it got there? Google Display Network is a cluster that can appear on more than one million websites and in apps. 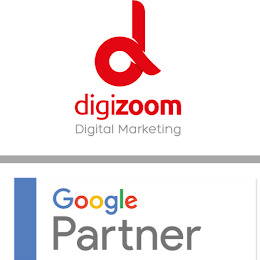 This network is partnered with Google to display your AdWords ads. Display Network (formerly known as the Content Network), is a part of the Google Network. Google Network, including Google Search results and other parts of the Search Network is the name given to all websites where AdWords ads can appear. These websites are part of the Google Display Network. Display Network is a collection of partner websites and specific Google websites such as Google Finance, Gmail, including Blogger and YouTube. Mobile sites and applications are also included in this network. When you show ads on the Display Network, you can reach a wide range of customers with a variety of interests. You can also choose which sites or pages you want to run your ads on. By using salient ad formats you can make the visitors engage in your ads. On the Display Network, you can choose the sites where you want to display your ads on more specifically. Moreover, you can choose the types of pages, specific websites and the target group that your ads will be displayed to. Engage users with salient ad formats. On the Display Network, texts, images, videos or rich media formats can be presented.